Yes, I know it's not a mega 3D shoot-em-up but it does demonstrate basic 2D drawing and it does produce some very pretty pictures! 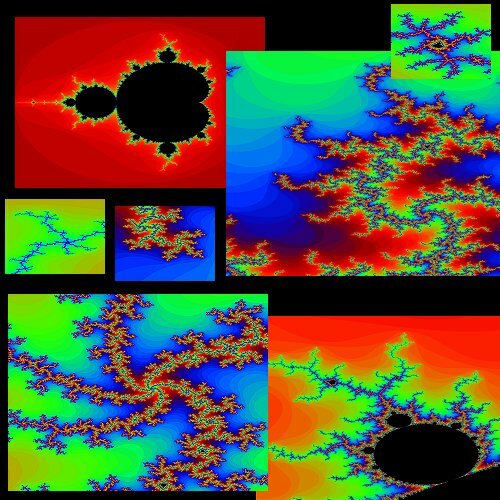 A Mandelbrot fractal generator in only 20 lines! Updated it a bit to fix a couple of annoyances. Especially the Episodes with Starships in. Good The Boyz Have Done It Is! This forum does not allow posting of images, e.t.c. You have to upload to either free web-space you get with your dial-up account or go and buy a proper domain and upload it there. You use FTP to do this. I think that it's the best twenty-lines programm that I have see. I'm following John, but I'm not john. grrrr...Doesn't work for me. Are there patches for DBC or something??? ermmmm....doesn't work for me in DBPro I mean.